We are one of the premier manufacturers of Open End Yarn of Ne 2 to Ne 16 and enjoy the competency in manufacturing. Our products are being mainly used in Denim, Drill, Canvas, Tyre Cord, Satin, Industrial Cloth and Home furnishings. We produce high quality Open End Yarn which is widely used to manufacture denim. In these fancy yarns the count of yarn is varied at random or at regular intervals to create a unique texture and design. In Slub Yarns, short thick places are randomly produced with different diameters and lengths at regular intervals to give a fancy effect. In the multi fold, the yarn is manufactured of various ply to suit the requirement of customers. We, at Moenus Textiles Private Limited give top priority for the quality at all levels, right from the selection of raw material to finished stage. Utmost care is taken at all the processing levels to ensure that only quality yarn is produced to meet international export standards. 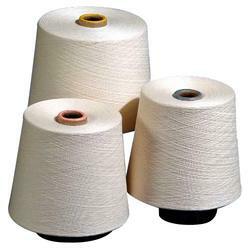 Our yarn is the symbol of quality and available in different grades and quality. We follow all ISO norms and stringent quality checks at all levels from procurement of cotton to packing of yarns & despatch. Moenus is equipped with state-of-art testing equipments to check the quality.